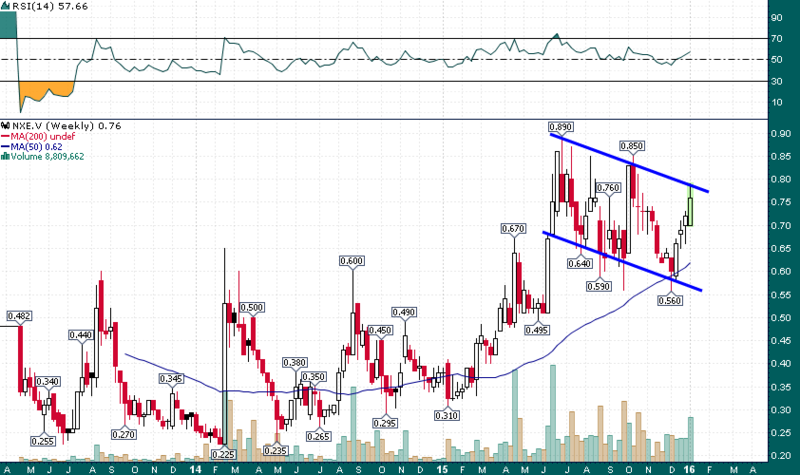 This Energy Stock Is About To Break Out | Energy and Gold Ltd.
A breakout above .80 would trigger a measured move target of ~$1.10. The pullback during October/November of last year was textbook bullish flag price action with a low volume trickle to the downside as buyers held off on adding to positions in the much maligned resource space into year end. This week’s heavy volume buying indicates that the bulls are back. Moreover, the fact that NXE shares are rallying during a week in which global equity markets are experiencing turmoil couldn’t offer a more bullish sign.